The climatic changes move your body to certain variations and fluctuations such as from cold to heat which can mishandle the skin of the hands. To keep them all day moisturized and soft, you should prepare a mask at home to take care of your hands properly. The benefit of this treatment is it helps to cleanse, exfoliate and soothe the skin. A special ingredient that is the oatmeal has anti-inflammatory agents. 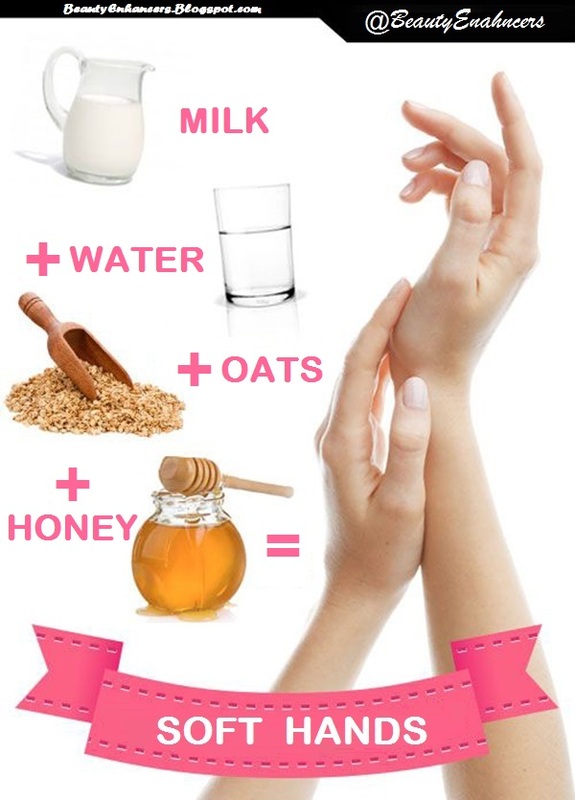 Oatmeal reduces the dryness and restores natural skin hydration. Another ingredient is the honey which is known to be the best anti-oxidants containing microbial properties. This mask is enriched with vitamins, minerals, amino acids and antioxidants so it is highly recommended to apply on hands if you feel rough marks and dryness on your hands. You would have to apply the mask for twice a week. In a pot, put milk, water and oats and place it on heat. Cook it until the oats become soft. Soak your hands by pouring this mixture into a bowl. Complete with warm water until the hands can be completely submerged. Add honey to mix in it. Leave hands for 20 minutes in the mixture. If you like this recipe, please share it.